Image 46 in the P. Cos Tulip Book. Click image for a larger version. Image 33 in the P. Cos Tulip Book. Click image for a larger version. Gel en Rot van Leijen Tulip. Image 5 AND 56 in the P. Cos Tulip Book. Click image for a larger version. Image 22 from The Great Tulip Book, which is in the collection of the Norton Simon Museum. Clicking the image or the name above will take you to this image at the Norton Simon Museum Store, where it can be enlarged and seen in considerable detail. This work was sold at Sothebys. The corresponding image consists of five tulips, Rusticion being the middle image. Provenance not yet identified. Reference image will be added soon.. Image 38 in the P. Cos Tulip Book. Click image for a larger version. This work was sold at Sothebys. The corresponding image consists of five tulips, Scipio Victor being the middle image. Provenance not yet identified. Image 21 in the NEHA Tulip Book. Click image for a larger version. 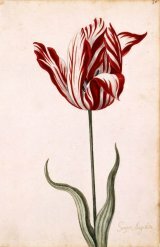 Image from The Great Tulip Book, which is in the collection of the Norton Simon Museum. Clicking the image or the name above will take you to this image at the Norton Simon Museum Store, where it can be enlarged and seen in considerable detail. Only the name of the tulip appears on the image. Semoer Augustus, by Pieter Holsteyn, the Younger (circa 1614 � 1673). Image was sold at Southebys. Provenance not yet identified. Image 10 in the NEHA Tulip Book. Click image for a larger version. Image 43 in the P. Cos Tulip Book. Click image for a larger version. Image 3 in the NEHA Tulip Book. Click image for a larger version. Image 26 in the NEHA Tulip Book. Click image for a larger version. Image 27 in the P. Cos Tulip Book. Click image for a larger version. Image 28 in the NEHA Tulip Book. Click image for a larger version. Troij cluer van Noviel (Troijs coleur van Nonville) Tulip. Image 55 in the P. Cos Tulip Book. Click image for a larger version. Image 62 in the P. Cos Tulip Book. Click image for a larger version. Image 66 in the P. Cos Tulip Book. Click image for a larger version. Image 67 in the P. Cos Tulip Book. Click image for a larger version. Image 6 in the P. Cos Tulip Book. Click image for a larger version. This work was sold at Sothebys. The corresponding image consists of five tulips. Verwindt being the last image (at right end). Provenance not yet identified. This work was sold at Sothebys. The corresponding image consists of five tulips, Verwindt being the first image (farthest to the left). Provenance not yet identified. Image 8 in the NEHA Tulip Book. Click image for a larger version. Image 37 in the NEHA Tulip Book. Click image for a larger version. Image 13 in the P. Cos Tulip Book. Click image for a larger version. Following is the bulb size and price designated by text in the image. Two sizes and prices are given. This work was sold at Sothebys. The corresponding image consists of five tulips, Viceroy being the last image (on the right). Provenance not yet identified. This work was sold at Sothebys. The corresponding image consists of three tulips, Viceroy being the first tulip (farthest to the left). Provenance not yet identified. Weena. See � Kamelot van Weena Tulip. Wit en Rood Boode Tulip. Image 25 in the P. Cos Tulip Book. Click image for a larger version. Wit en Rood Boode Tulip; signed Pr. Schagen. Image 59 in the P. Cos Tulip Book. Click image for a larger version. Image 18 in the P. Cos Tulip Book. Click image for a larger version. Note: This is the only broken tulip from the days of Tulipmania to have survived, and is still treasured in gardens today. Image 19 in the NEHA Tulip Book. Click image for a larger version. Image 8 in the P. Cos Tulip Book. Click image for a larger version.